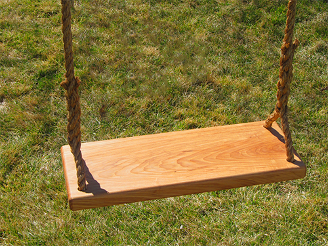 Kids hardwood tree swings are a great addition to any yard. As we all know, children tend to be very hard on any outdoor toy and the toys of today just don’t stand up to any real test of quality or durability. 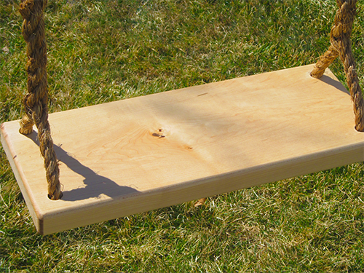 That’s why at TreeSwingStore.com we promise quality and durability in every swing we make. 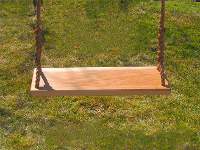 All of our hardwood tree swings for kids are made from the best lumber we can find, sourced from responsible timber farms and crafted with the greatest of care to ensure that the hardwood tree swing for kids in your yard, is just as nice as the one in our yard! If the hardwood swings for kids above aren’t quite the look you’re going for, then feel free to browse our other pages full of great designs like colorful flowers, lady bugs and smiley faces. We have a huge selection and something for everyone! 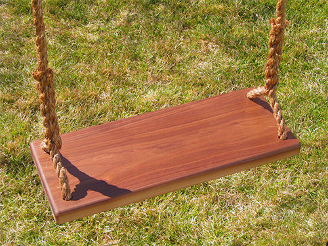 Kids Hardwood Tree Swings from www.TreeSwingStore.com 4.9 out of 5 based on 86 user reviews.